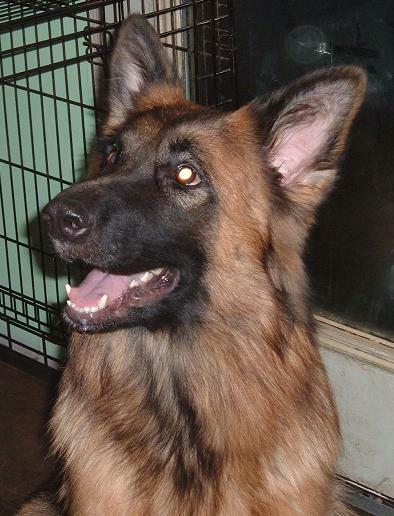 SIERRA, A beautiful black/red longcoat female!! 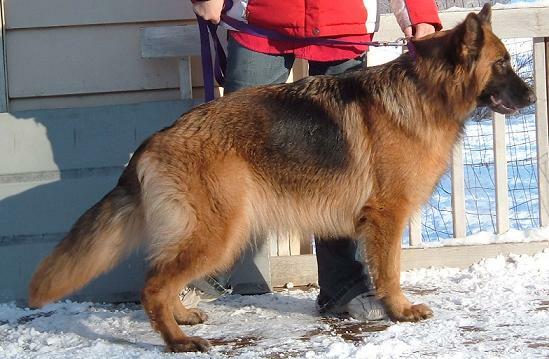 WORLD CLASS, Incredible German Bloodlines combined with awesome beauty and temperament. Sierra's lines are 100% titled, working and show, KKL1 for life and ALL her ancestor's have certified hips. Her lines are some of THE BEST the world has to offer. She is the daughter of VA (BSZS) Whisky vom Bierstadter Hof SchH3 KKL1 (an Ursus vom Batu son) and V (LGZS) Lissi vom Haus Erlebach SchH3, FH1, KKL1. She is a big girl, about 85+ pounds and as tall as Titus. She is very, very red. Having great lines is not all this girl has to offer, she has THE BEST temperament!! Great with everybody and everything. She is so sweet and loving. Her only draw backs are that she is totally spoiled and maybe she will love you to much (she is big! LOL). 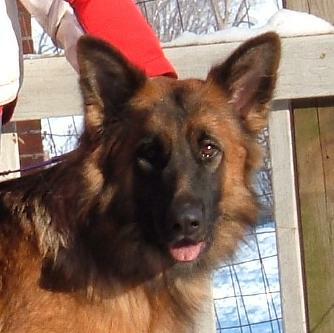 Sierra is retired from breeding as is her son MAGUS both were a great addition to our breeding program. 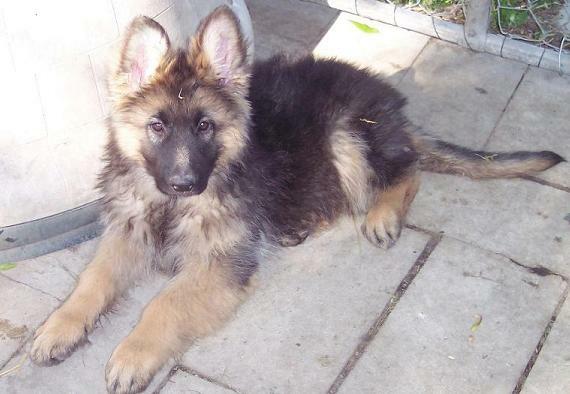 HERE IS SIERRA AS A PUP ABOUT 3 MONTHS OLD.